It is that time of year. (Don’t panic if you are prone to hysteria at the ending of summer–I promise, summer is still here.) I look forward to this very moment every year. It has become like its own pre-Fall ritual for us. Can you see them? Sitting there all pretty on my entry table? The plush pumpkins are back to quietly whisper, the glorious season of fall is on its way. Oh yes. It is THAT time. The time when I ever so slightly nudge my house toward Fall with my Plush Pumpkins. There they are in all their plushness plumpness, just begging you to pick them up and give them a little squeeze as you walk by! This year they are looking a little more sophisticated, don’t you think? All dressed in their gold finery of chevron linen and silvery shimmer! I have to say, I’ve never seen any other soft pumpkin out there as beautiful as these. Their quality is remarkable and worthy of attention. They are heavier than you might imagine. Behold, the beautiful natural organic stems. Each one unique and special. My good friends, a.k.a. the LoveFeast ladies, are giving away a Large Metallic Linen Pumpkin set in your choice of Silver or Gold to a lucky commenter! Just leave a comment on this post and you’ll be entered. A winner will be chosen Sunday night at 10PM PST. Check out the LoveFeast Shop for more pumpkins (including the lovely velvets!) and all sorts of loveliness for your home! Thanks for entering! This giveaway is now closed and the winner will be contacted. If you have questions on my striped wall, you can find my striped wall instructions here. If you have questions on my hardwood floors, you can find hardwood floor details here! Wondering where I got my table? It’s from a flea market, you can read the post here! :-). The little bench came from Target. The tray the pumpkins came in is from Mary & Martha. What is the most happy thought that comes to mind when you hear the word FALL? Love Fall and Thanksgiving!! These pumpkins are amazingly beautiful!! crisp air and a warm drink! LOVE these…is this available for us in Canada? love love love! Fall is my favorite season and these pumpkins are so cute! Your entryway looks beautiful :-)! Thank you for the opportunity to win the pretty little plush pumpkins :-). Love these and the Fall time!! For me it’s decorating for fall and Halloween! Pumpkin spice lattes, pumpkins, rich soups, cozy blankets..it’s my favorite season! A woman after my own heart-I love fall! Love Fall…can’t wait to start decorating for it….coziness is what I think of when I think of Fall. I love fall and love those velvet pumpkins!! Gorgeous! Thanks for introducing me to Anthropologie and sharing so much inspiration. Got to visit a store for the first time this past weekend!! I’m always so anxious for fall! Adorable decor like this May be why :) fingers crossed! Amazing colors as the leaves change! Oh how I love these every Fall, and how I look forward to the plush pumpkin giveaway. These are gorgeous this year. Beautiful!!! Looking forward to the crisp, cool air of fall! Oh please! I need some child friendly seasonal decor! Fall holds a special place in my heart because my first baby was born in September. So I have warm memories of experiencing life as a new mom & soaking in the goodness of all things autumn. I have wanted a set of these pumpkins for years & would be so very thrilled to win!!! Gorgeous! ! Love the silver!!! Wow! What a motivation to bring out the Fall things….and Starbucks is bringing back their pumpkin lattes early…what a combination!! I just changed out my pillows and added some fall color to my living room. Beautiful pumpkins for my favorite season! Would love to showcase these on my buffet this year! Fall is the best! And I’m in love with the soft colors of the pumpkins! The velvet ones are gorgeous and these are even better! Gold would be off the charts!! I just love these adorable pumpkins. The gold and teal ones would look great in my living room! Thanks for the opportunity to win! I love wearing scarves and drinking chai lattes in the fall! those are just so pretty. perfect for anyone’s Fall decor. These soft pumpkins are so beautiful! I’d love to have one for fall. I love these pumpkins!! L.O.V.E. Gorgeous pumpkins. Just found your blog. Thanks for the giveaway! I love the pumpkins! Super cute and would fit in perfectly with my fall decor! Can’t wait! I love the cool air, rustling leaves falling to the ground and hearty soups for supper. Bring on the Fall! Love the pumpkins! I love the cool air, rustling leaves falling to the ground and soups for supper. Bring on the Fall! Love the pumpkins! Could you share where your bench is from–I searched the site for more info but was not successful. Thanks! These pumpkins are just lovely…would love to display a set in my home this fall! I love fall-my favorite season! And I love these pumpkins!! I’m just as happy as you to sense fall in the air (no hysterics here!). In fact, I just picked up a very sweet mercury glass pumpkin on a foray to Marshall’s this week, but I’m waiting a bit to move the decor in that direction. The plush pumpkins are gorgeous and I love the real stems. Thank you for the giveaway! Time for my velvet pumpkins to come out of hibernation! Hard to begin decorating for fall, though, with temps in the 90’s for the next week! Anything apple – apple pie, apple cider, apple sauce….. I love the gold pumpkins:). Love fall decorations. I think of sitting by the fire with a cup of warm apple cider! Autumn is my favorite of all seasons. So cute. I love getting inspiration from your photos. Cooler weather and the fall colors! Fall is my most favorite season. It reminds me so much of my sweet mom. She passed away. She would decorate beautifully in the Fall, cook and bake with lovely scents of apple, cinnamon,pumpkin and always have a hot pot of tea ready for neighbors who stopped by. The house always felt so warm and cozy. Thank you for the opportunity on winning a gorgeous set of pumpkins! Both the silver and gold are lovely. Love your entries and love the pumpkins…Fall is near. Be well! Love Fall colors and the cooler weather! Those pumpkins are beautiful, if I had some i would display them in August as well! Luv, luv, luv those pumpkins! Fall is my favorite time of year. So happy to think about decorating for fall! Football! Food! Sweaters, boots, scarves. Fall scents, colors, leaves…what’s not to love?!? Oh I LOVE fall! It makes me think super happy thoughts of cooler weather, warm drinks and football! Plus it gets me giddy for holidays! Love the new metallic look pumpkins! Corn Husks. Another season of beautiful change. The changing leaves. I love the colors! Fall decorating is my favorite, but nothing beats a northwest summer!! Agreed :-) I’m glad our fall is often as awesome as summer around here! These beautiful pumpkins would be awesome to decorate with in the fall. I just bought a white ceramic acorn tray. These little guys would look so charming perched on it! Lovely post, as always. You’ve succeeded in making me just the tiniest bit excited about fall. Those are beautiful! As is your entry way. I have that bench and can’t wait to incorporate it into our new home in a few months! Kate, where did you purchase that adorable bench? Cool mornings enjoying coffee on the patio….without mosquitos!!! I love everything about fall except it ending because winter is my absolutely least favorite season! How unique! I’ve never seen anything like those pumpkins! I can’t wait for fall. We live in Florida, and I can’t wait for cooler weather. My thanks to you and The Lovefeast Ladies for this generous giveaway. The changing leaves and comfy sweaters! Fall = Relief!!! Finally, our humid, steamy, smothering hot summers come to an end! I love fall! The nip in the air and the firey red leaves! My favorite season also. After a summer season of spontaneity, Fall is a welcome return to order. I love the cooler nights and gorgeous colors. The plush pumpkins would be a beautiful bonus to the season! Coming from the midwest, Fall is still my fave season of all…. BUT living in San Diego County, CA we do not have the thrill of sweaters and crisp air and turning leaves. September and October can be our hottest months of the year… and November not “much better”. But still… I decorate the INSIDE of our home with FALL, FALL, FALL!!!!! Those pumpkins would be perfect!! Raking the beautiful colored leaves into a huge pile with my children, and then running and jumping into them together. That’s my favorite thing about Fall. I love the cooler temps and changing leaves! Love these! I love all the aromas of Fall! I Love these pumpkins! Love the vignette! Looking forward to fall! UK RESIDENT – don’t enter me! I just wanted to say that I was expected a pic of something Fall-y, as I know it’s your favourite time of the year. A sudden and unwanted drop in temp. last night had me switching the heating on – and I don’t want that yet, it is still Summer! Normally switch on around 4 October, so the temperatures had better rise again a bit sharpish!! However, the pumkins are cute, and as you say, just a little whisper that Fall is a’calling. Enjoy it when it actually gets here! Fall is my favorite time of year! I love love pumpkin everything! I usually decorate the week of my birthday (first week in September) and those pumpkins would be an adorable addition to my decor! Can’t wait for pumpkin coffee, cool nights by the fire and fall colors! Aaahhhhh……FALL. Such an elusive season here in Tampa. Our high humidity usually doesn’t break until at least Halloween and even then it is only for a day or two. But still, fall is my favorite season. It ushers to mind beautiful changing leaves, cozy fires, apple cider and family. The addition of soft, luscious pumpkins makes it even more inviting. Hope to be the lucky winner! I love the rustle of the leaves as I go for a walk in the woods on a crisp fall morning in Northern Michigan! The mantel in my Victorian home would look splendid with some gold pumpkins. They are lovely. I love fall … the cooler days, the beautiful colors, the warmer clothes, getting back into a routine and the best part of all turning the clock back!!!!!!!!!!!!!!! I’ve been smitten with these for years. Love the new soft metallic look” would be perfect in my dining room. This setup is so beautiful. I wish I had your talent. I am praying that I win one of your beautiful pumpkins. Love these. They fit perfectly with fall coastal decorating. I’ve only ever seen these pumpkins in velvet before. I love the linen! Love the “whisper” of fall and absolutely ADORE the chevron/metallic plush pumpkins!! Everything fall makes me happy! I just saw the fall leaves color forecast last night and that gave me such a feeling of excitement. The leaves haven’t even started changing here in NC, lol. Cool, crisp mornings, hot coffee and a long walk with my dog before starting my teaching day! The metallic pumpkins are beautiful. Did anyone see the pink velvet pumpkin?? Love it! Love these and am ready to welcome fall into our home! We really don’t have a fall here in FL! I love to act like we do by decorating my house for fall as I love the colors of fall (rusts, oranges, golds and dark greens). Also, fall means the holiday seasons are about to begin and I Love the holidays!! I love the beginning of fall when the night air gets cooler and leaves start to change. These pumpkins would be a wonderful addition to my fall decor. For me, it’s the smell of fall. I love the crisp smell in the air. It lets me know that the leaves will soon be changing! I love the smell of crisp fall mornings, as funny as that sounds, it’s unique to the season..
Fall is our favorite time of year! My daughters have already picked out tons of fall recipes and we’ve marked our calendars for all the fall festivals we plan to attend. Can’t wait! And those pumpkins are absolutely gorgeous. I love fall, football, bonfires, hot apple cider and all things pumpkin! I love the linen pumpkins but I looked at their online store and they have beautiful velvet pumpkins!! cool nights, football games, tailgating, s’mores, and pumpkin flavored everything! 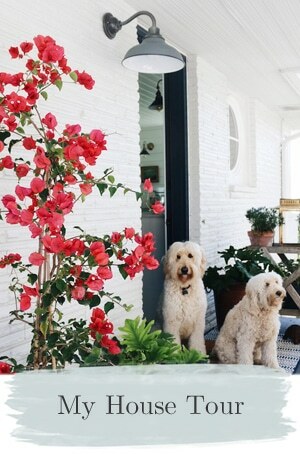 Enjoying the colorful outside surroundings! Hot Apple Cider, boots and scarves! Crisp, cool air! Would love to add a new pumpkin to my collection here in NL. 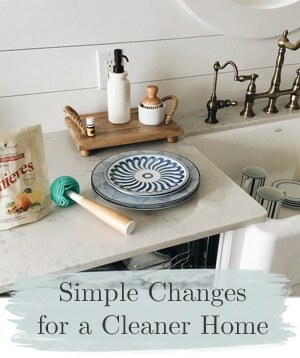 I always start pining for fall right around this time of year… And I usually try to convince myself it’s here by changing out the summer decor and introducing smells of fall into my home! These pumpkins would be perfect for my yearly ritual… Thanks for the giveaway! Love these! Ravens football and pumpkins! YAY! Love those pumpkins – so cute and perfect!! The colors of fall simply amaze me. There are no better colors than the reds, oranges, yellows, and gold. It is one time you get to bring the outdoors inside. I always hate to let go of summer! Looking forward to decorating for autumn makes it a little easier. Looking forward to the cool fall lair and beautiful fall sunsets! Fall is in the air in the Northeast. Eagles just won against the Steelers. TCNJ freshman just moved onto campus. And, this AM an honest chill is in the air. Fall is my favorite season, too! I officially wait until after Labor Day weekend, but it is hard to do it sometimes. I recently found your blog and love it…thanks! Happy day! These are so pretty. I have seen the velvet ones but never the metallic linen. Thanks for the opportunity. I love Fall, getting back into a routine, seeing friends you don’t see much in summer. Right now I am looking forward to COOLER weather. It is supposed to be 100 degrees today. Relief from the heat and humidity of summer! Fall…beautiful colors and hot air balloons! I love the way the sun light changes to a soft slant through the windows, giving a different glow to the world. I love the cozy, cool feel of the days, of course the change in the leaves, and stage sound of the furnace kicking on to take the chill off the morning. The entryway is beautiful! Fall is the season of memories with family, friends, and fun! Lovely fresh season of decorating! Love the new pumpkin collection! Plush pumpkins…can you say love? I’m not a big fan of the cooler seasons, but those beautiful pumpkins make it easier to enjoy them! Crisp, I adore crisp fall air and these pumpkins. I’ve lived in AZ and CA for the past 10 years, so fall is much more demure there. Now I live in OH, and I’m looking forward to seeing leaves change again. These pumpkins are adorable! These pumpkins are fabulous! Can’t wait for fall! I feel in love with these in previous years on the blog! They are so beautiful and the perfect fall decoration. At this time of the year, I look so forward to the leaves changing color around our house. I fell in love with this house, and all its challenges, when I saw the yard in the fall. We have some 30+ year old oaks and maples that are so beautiful and colorful. I look out every day to see the signs that this beautiful moment is coming. These pumpkins would be icing on the cake! The best word I can think of when I think of fall is “Daddy,” because fall was the time of year Dad and I loved the best, and this will be my first one without him. He passed away on the first day of winter last year. I’m going to make this fall extra special as much as possible in honor of Dad. He was a wonderful man, a WWII vet, a woodworker, a mechanical engineer, and one of my best-ever friends. He was generous, kind, funny, and brilliant. He is missed VERY much!! Looking forward to cable sweaters, tights and boots. Love the pumpkins! The best part of fall is the smell of pumpkin spice! Also candy corn and peanuts. I love the pumpkins… they look great there! Fall is my favorite time of the year…..and I’m hoping this fall brings lots of rain for us…. Love those little pumpkins…the color is perfect. My Happy fall thought is my mom’s chicken and rice soup, and reading a book curled up under a soft throw blanket. Hubs and I are looking forward to our first fall in our new (first!) home, and it has a fireplace, so I think that will become a part of my happy fall thought too :) A shimmery pumpkin would be darling on the mantle! When I think of a happy thought of fall, I remember our 4 boys jumping in the piles of beautiful leaves in our yard. They don’t jump in them much anymore; they range in age from 32 to 45! I am so ready for Fall!! Love the colors, the smells, everything about it!! Living near Washington DC, I would have to say that fall is the one season here in which the weather is actually pleasant, so I look forward to it all year long! Also, I am addicted to pumpkin spice lattes…so fall is a great season here! The pumpkins are such an elegant way to celebrate. Beautiful. Tasteful. Elegant. Now all I have to do is figure out how to recreate this. Looking forward to cooler temps and beautiful fall colors! You really are crazy for fall aren’t you? The pumpkins do look so sweet and just the right touch. Love these pumpkins, so cute! I think I would go for the silver. Those are gorgeous! I have just the place for them! The crisp fall smell in the air with the falling leaves. As well as being able to wear jeans and a sweatshirt, my favorite. Oooooh, how I love these pumpkins. Excited to see the metallic linen as I love, love the velvet! Can’t wait for my favorite time of year! The best part of fall is the occasional, unexpected warm day among all the crisp, clear ones. It’s like a gift you forgot you had in the back of your closet, a wonderful treat just when you thought the party was over! Fall in Michigan is incredible. The coloring of the leaves beckons one to take long drives down our hilly back roads that wind to our Great Lakes or just one of hundreds of inland Lakes. It is by far my favorite season! I love to decorate my home in the orange/burgandy/yellow/scarlet red leaf motifs. Pure Michigan! Fall is my favorite season of the year. I love the colorful foliage, crisp air and mood of the season. These velvet metallic pumpkins are so charming. They will be a great addition to my fall decor. Thanks for a chance to win! Just beautiful! Great way to welcome in fall. My favorite part is the hope of coziness. In the North East, in the fall you can feel cozy inside and outside with a sweater. In the winter, it’s pretty hard to feel cozy outside. ;) These are beautiful. Thanks! I ring in my favorite season (fall) with pumpkins, mums, cornstalks propped by the front door, and of course lots of candles in those pumpkin, cider, harvest scents!! Wow! Pumpkins already? These are lovely! I love Fall so much! It means pumpkin patch visits, football games, baking and decorating Halloween cookies, hay rides, pumpkin muffins, chili and bonfire nights. It means cooler weather and the relief from the Florida heat. It means visiting my family in my beautiful East Tennessee hometown. Those plush pumpkins are wonderful! :) I love your blog! I love fall, especially the decorations! Beautiful! Nothing says fall like pumpkins! As you welcome Fall, we are on the verge of experiencing Spring here in South Africa. I must say that it has been long overdue – considering that this year has been one of those exceptionally long and cold winter seasons. As much as Spring is my favourite season, I must say though that there is perennial beauty to be had and enjoyed during Autumn (Fall) when most trees reveal that somewhat golden/rustic hue that’s just magical. It also seems to bring about a certain calmness and a sense of taking everything in and relaxation. I too love the season of fall!! I am always so ready and excited for it. Love the little pumpkins! Crisp weather, hot chocolate, fall leaves, soup, precious memories. Glorious fall. Being just outside Houston, Texas, I love the first “cold front” that blows through…..ushering out the hot, humid air, and bringing in the dry, cool air. Relief and refreshment all at once! I love the colors and decorations of the fall season–my favorite! And all the pumpkin and apple- flavored foods that seem to go with fall. Thanks for offering this giveaway. I love the pumpkins! The best part of fall for me (in Michigan) are the colors. It is so gorgeous here!!! I love the feeling of coziness I get when I think about fall, and the way I remember the air smells even if it’s not cool and crisp yet. Pumpkins are my fall favorite – These pumpkins are so beautiful – thanks for the chance to win. These are so soft and pretty! Love the gold! What comes to mind when I think of fall? That pumpkin ice cream will soon be available! Alas, I don’t get to eat very much or I’d soon look like a plush pumpkin myself. I make do with pumpkin smoothies … all the fun minus the calories. Pumpkin muffins, scarves, boots, crispy air are some of my favorites! Love these pumpkins! Happy Fall, Y’all! Pre-Fall has definitely arrived in Montana! After several days of cooler temps I was certain I “felt” fall in the air! I start looking for its arrival about the first of August! :) So yesterday out came the carved wooden pumpkins for my antique dough bowl! 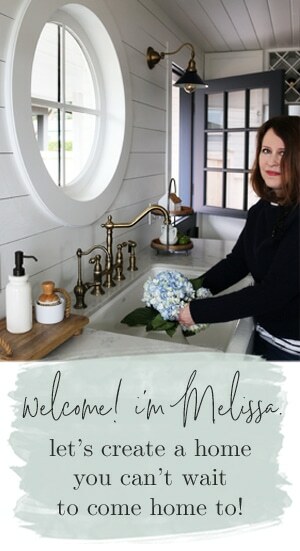 Like you, Melissa, fall is my most favorite season of the year with its rich warm colors and spicy fragrances. It appears summer temps will return in few days so the cozy afghans will have to wait! Enjoy fall! Your entry is beautiful. I love the colors and a crisp cool breeze. Pumpkins are darling, thanks for the chance to win. While I mourn the passing of summer, I always look forward to fall as that time of year when I’ll tackle indoor home projects as we move toward the holiday season. That and pumpkin flavored coffee. Thank you for the chance to win a plush pumpkin of my own. They are a perfect fall accent! Cheers! Having “plump plush pumpkin palpitations”. Grateful for this opportunity. Thank you to all. I love Fall and these pumpkins are adorable! As we are in the hottest part of the summer here in Missouri, the white pumpkins are a reminder of a favorite season to decorate coming very soon with lots of pretty posts! Thank you! Fall is my favorite season of the year and pumpkins of all type abound in our home. These are especially fabulous! With fall comes the season of gratitude. When we are reminded of all the daily bounteous blessings which come from our creator himself. Love the pumpkins! They are gorgeous. Nice way to welcome in fall! Crisp weather, beautiful trees, hiking, comfort food, sweaters & fall festivals! Pumpkin spice lattes and fresh apple cider!!!!!! I absolutely love those pumpkins! They being just the right amount of Fall to your table display! Love the pumpkins! Would look amazing in my foyer!! I saw your post title and got excited! I’m IN LOVE with this time of year also! It’s funny you should ask what is my favorite memory of Fall, because last week I was thinking just that! My father and I were on a long road trip together. He is in his 60’s and I’m a stay home mom of three so for me it was a little break from everything! While sitting in the car watching the hills roll by in the car I remembered how my Mom and Dad would pack my little brother and I up for the weekend. We would leave right after school and make the drive from the suburbs of Chicago to Champaigne-Urbana to catch a Fighting Illini football game! I can still feel the warmth of the Autumn sun on my face, while pulling my sweater close to my body! And the smell of all the leaves blowing around. The sun dappling through the red and gold leaves as we walked toward the stadium! I can still see all the college kids running around getting excited to see the game! We would meet up with other family members as we cheered for our team and then go to a deli to eat some dinner! When I think of Fall I think of those elements while trying to decorate my home. The warmth of those colors, the smells of pumpkins, apples, and burning leaves. The joy of family and the comfort of a cozy home! I don’t have a very big home or a big budget but I won’t deny my Texas kiddos of a Midwestern Fall, if I can help it! I love that the sky is sooo blue and the humidity is so much lower. In addition to all the great fall smells and beautiful colors!! Oh so many things pop into mind with the word Fall. Little girls in plaid dresses going off to school for the first time, my collection of pumpkins (I have had to limit myself to one new one a year); all the fabulous colors; and homemade soups cooking on the stove. Oh I could go on but many have mentioned others. I love those pumpkins, is their a source where we can get them if we don’t win? Fall in Texas comes late, usually around Halloween. So that has become my favorite holiday! Those pumpkins are perfection . Fall is my favorite season but I’ve grown tired of some of my Fall decorations in the traditional fall colors . These pumpkins would really spruce up my foyer . I absolutely adore the unique shape of these treasures! I am over-the-moon in lust with the gold! Love the pop of green with the silvery pumpkins! Changing of the colors, love seeing the fall colors! Soup on the stove, boots on my feet! Although Summer is my fav season…! Fall in all her glory is a close second !!! love the plush pumpkins and you posts!!!!! Fun family trips to the apple orchards and pumpkin patches! Beautiful colors of leaves and playing in the piles of leaves in the yard! Soups, blankets and football! I LOVE autumn and those plush pumpkins make me want to put one (or two, or six) in every room! Cute, elegant, texture and color all in one product! Love!! Cooler weather, fall smells, Game day football on TV! Love these pumpkins–I agree best I’ve seen! Crisp fall nights on our screened porch looking at the fire in the fireplace watching football on the flat screen tv. Oh what a night! They are beautiful! Fall is like my New Years! My happiest thought about Fall is COOLER weather! It brings a renewal of energy after the hot days of summer. I also love fall. I have always loved fall. These pumpkins would look so pretty in my family room! Lovely cool weather and crisp crunchy leaves. Fall is my time of the year — cooler temperatures, pumpkin patches, my birthday!!!! These pumpkins will help me transition to fall. Cool weather! Cool nights! Saying ‘It’s Fall Y’all”!! Perfect pumpkins. I love that they can be used year after year. They would look great on my entry table. Love, love, love those pumpkins! I love all of the Love Feast Pumpkins! Thanks for the giveaway and come on Fall!!! Love the cooler nights, to cuddle under a big blanket! Football! There are so many wonderful things about my favorite season, but football comes to mind first. Thank you for this beautiful giveaway! These are absolutely gorgeous! 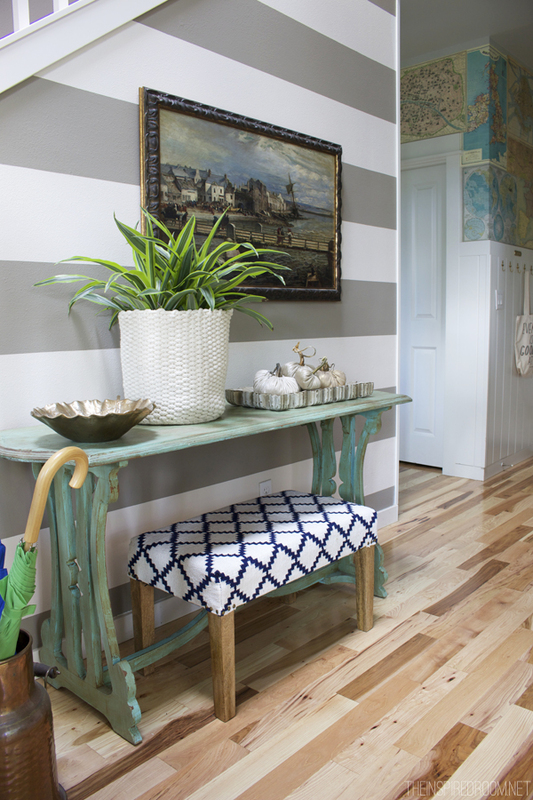 LOVE your entryway! I love these! Since my kids have grown my fall/Halloween decorating has shifted from “Halloween” to softer, more outdoorsy. The pumpkins fit right in! My favorite thing about the summer >fall transition is getting the sweaters & boots back out. How cozy this looks! Here in the desert, we have no hang ups about summer ending- bring on the pumpkins! I too love the fall. I’m moving next week and can’t wait to incorporate some of your ideas into my new home. Including this one! I have been looking at these pumpkins for three years and never hit the button to buy. I think they are beautiful. 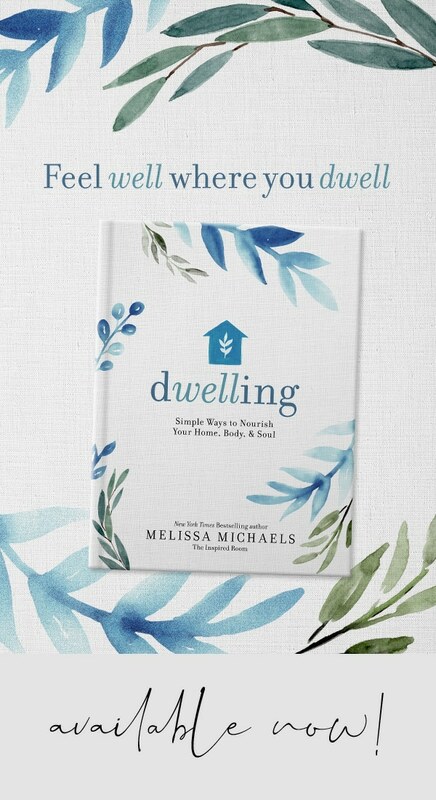 Melissa, I love your house and your heart. From one minister’s wife to another. The scents of fall! Campfires, burning leaves, pumpkin candles and apple spice potpourri. Mmmm! Cool nights and sitting outside with a hot drink. The cider mill, but I love everything about fall. Can’t get enough of those stems! SOOOO ready for Fall…pumpkin spice lattes, beautiful trees and fresh apple pies! I can’t wait for apple picking & pumpkin desserts! Beautiful! Just the perfect touch of fall as the seasons transition. Love those pumpkins!!! And love pumpkin patches with my little girl!!! It’s the glorious colors of Fall that warm my heart and how the shades of silver and gold as highlighted in these beautiful plush pumpkins shows…is the icing on the cake. Fall makes me think of new beginnings – fresh crayons, new clean sneakers, crisp air and clean blackboards (do they even use them anymore?). I love them. Fall is my favorite time of the year. Love love those pumpkins . Would look great in my house! These are beautiful! When I think of Fall, I think crisp leaves and a clear blue sky and that hint of burning wood from fireplaces being used in the evenings. Love that time of year. Love the tray your plushy pumpkins are in. Do tell where I might find one of these. My happy thought involves outdoor activities and festivities with the kids. These pumpkins are lovely and would love to win one. A beautiful addition to the fall season. I love the crisp mornings and fall leave colors. BUT I’m not ready for summer to be over quite yet! Beautiful pumpkins! I can’t for fall! fall = crisp temperatures, but still very welcoming weather for out door activities = LOVE! I love these pumpkins! The textures and colors are soothing ! My Fall thought! Cool and Crisp! Beautiful pumpkins! I can’t wait for fall! Love the pumpkins! My favorite way to decorate for fall is with pumpkins (and friendly scarecrows!). Warm caramel apple cider!! These pumpkins put me in the mood for fall! I love pumpkins! I have been incorporating them into my fall decor for the past few years and I just think they are adorable and scream FALL! My happy thought for fall….is that first cool day that you feel like you need a sweater! Oh, silvery pumpkin, please come to my house to play! I love the subtle pattern on the pumpkins. What a great way to usher in the fall season (which happens to be my favorite season)! Fall is beautiful colors and crisp air, cozy sweaters and boots, cooking, and watching my son play football! Fall means apple-picking here in NJ! I love your entry way and those pumpkins are perfect! I love these pumpkins! My favorite thing about fall is long walks in the fresh, autumn air. I have always loved these plush pumpkins! I would love to win some!! oh my gosh…….I am so anxious for FALL…….the blistering heat in Kansas is awful. I would love to have something new and fresh for my FALL home. Love, love, love the sheen of the plump pumpkins! Morning coffee on a chilly deck…. Using the oven again without worrying about heating up the kitchen…. I am always so inspired by your blog! Fall can’t get here quick enough for this Ga girl! Fall brings us a velvety breeze, soft rustling of the trees and vines….a gentle slipping away from the heavy heat of our summer…the earth sighs with relief. Pennsylvania in the fall is GORGEOUS and my favorite time of year. Everything from the different variety of beautiful pumpkins to the leaves and smells of the season – wassail, crisp, fresh air, the crunch of the leaves…it’s all glorious! Love these plush pumpkins! I have tried to make some in the past but they never come out as pretty as these, i’d love to win some! These are the first “faux” pumpkins that I have ever liked – they are beautiful. When Fall is just around the corner, I think of hot cups of Chai latte on the deck on cool, crisp mornings. I’m not one of those that wants summer to linger. Bring on the cooler days! These pumpkins are perfect and understated. I love sipping a glass wine while sitting by the bonfire on a crisp fall evening! Love, love, love the pumpkins! Fall is the best – even here in california where we barely have seasons! Love those pumpkins! Also love how cozy your home is looking. Thanks for the smiles you bring to my day! Love these pumpkins and they would be the perfect addition to the home we are currently building once we are ready for the decorating stage. Love your blog! It’s given so much inspiration! I love these! Just the touch of fall my entryway needs! I love fall – the beautiful colors and the cool air. Nothing beats it! The pumpkins are so pretty! Fall hopefully brings us cool weather, I’m so tired of this heat. I also look forward going to the huge pumpkin patch at Cal Poly, it’s lots of fun for the kids and adults. every year I see these pumpkins I fall in love all over again! My first thought would b the smell of burning leaves. My mom loved that smell. She has been gone for 14 years now and every time I smell that fall smell it makes me think of her. The metallic pumpkins would be a great way to get started with my fall decorating!! Thanks for the opportunity!! Sitting on the deck wrapped in a blanket, sipping coffee after a dinner of homemade soup and crusty bread. Pumpkins! My favorite thing about fall. To look at them and their many shapes and sizes… And then of course, there’s baking!! Love the subtle texture & color of those pumpkins! These pumpkins are so beautiful!! My two favorite times of year are April and September. I adore that feeling of transition. In April, it’s the promise of new life/growth and in the fall, preparing for the winter and the family time spent cozied up in our home. Crisp air, falling leaves, firepit, beautiful colors, what is there not to love about fall, and these adorable plush pumpkins!! Both are lovely. I wouldn’t know which to choose. But either would pair perfectly with my non-plush pumpkins that are waiting to come out for fall. I absolutely LOVE these pumpkins! Thanks so much for the inspiration you bring all of us, on a daily basis! Boy, I love these pumpkins! Aren’t the pink ones fun! My favorites are the fall colored velvet pumpkins though! I love fall, especially the cooler temperatures! Those pumpkins are absolutely gorgeous! Fall…building the first fire…cozy evenings as the temps drop outside. Those are adorable. Love the natural stems. I too love Fall – the smell is amazing. I have always loved these pumpkins! They are pretty in any color or fabric it seems. I enjoy the temperatures cooling off and the beautiful trees and smell in the air! Fall is my favorite time of the year. My son and I loved the season. Even though Sean died two years ago, I still have those wonderful memories of our fall adventures. They run like a movie thru my mind. Wonderful, happy times! 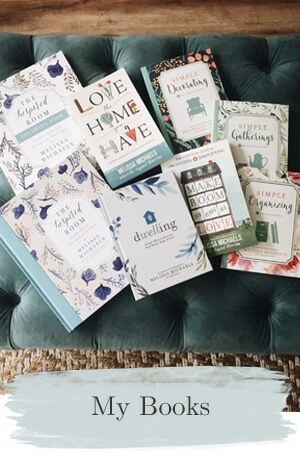 My most happy thought to fall is…..nesting. 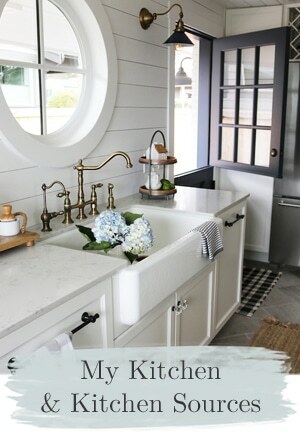 I love to get our house all simplified with a cozy twist. These gorgeous pumpkins from that cute shop would be perfect! Love the pumpkins! I love both colors. Would be a tough decision but yours look great! Oh I love those!!!! When I think of fall – I think of all the gorgeous colors. That makes me happy. Living in Texas, we always look forward to the first cool front that means a relief from the heat and Fall is on its way. Crisp and clear. After the lazy, hazy days of summer, Autumn brings me joy! Would love to be entered into this! Thanks! Maple trees is all their God-given fall glory! I don’t like saying goodbye to summer, but the promise of fall makes it worth it! Love everything pumpkin! The smell in the air, the leaves as they change colors, the feeling of cozy sweaters and boots! *Fingers crossed* I love those pumpkins! My first thought after hearing “fall” is cider mill! I usually just miss summer, but am glad to have Fall’s routine for us. Thanks for the opportunity! I love to decorate for fall and these pumpkins would look so beautiful on my table! ~fresh air, windows open, cool breezes, changing colors, bright orange, football games, cozy sweaters, leaves to jump in, kids in school~love love love the pumpkins!!!! I love Fall…..the beautiful colors of the changing leaves against an Autumn blue sky, crisp air and wearing sweaters, pumpkins, and Thanksgiving! Soup! Would love to win! I always love to see and hear the children going off to school. I continue to decorate for every season thinking of my children as little ones heading out the door to the next great adventure waiting for them at school. These pumpkins are so sophisticated and lovely. Thank you for sharing the web address. How lovely for any home for the upcoming Fall season. Would be great on a mantle or as a Table decor. Cool mornings, coffee in my hand on the front porch! Love the pumpkins, Fall is just my happy place, blue skies, crisp air, crunchy leaves, colorful leaves, soups, fireplaces, long walks in the woods, football, sweaters, apple pie, Halloween, Thanksgiving! I have been in love with their pumpkins for years! A very classy way to bring fall decor into your life. Apples and pumpkins! Love those pumpkins! Help!!! I need a beautiful pumpkin!!! I moved to Texas from the North and am going to miss fall!!! The pumpkins are beautiful.Love the metallic sheen. I love fall…and the opportunity to decorate seasonally. 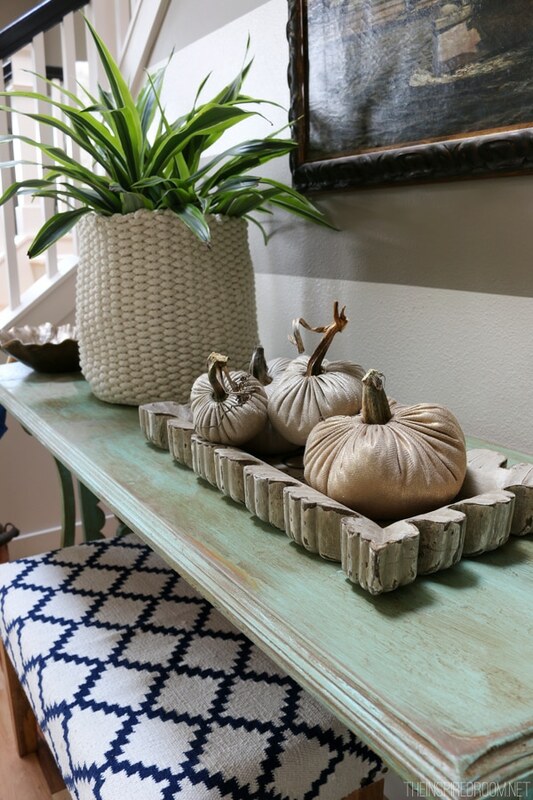 The pumpkins are lovely–the pumpkins and tray really complement each other. Not happy that summer is coming to an end — but seeing the metallic linen pumpkin on my DR table could help ease the pain! Cooler weather and blue skies. Also, all the little things that make up fall, like the pumpkin patch, pumpkin spice lattes, sweaters, boots and jeans, and the changing leaves. I love fall! And I love your understated entry! Such an elegant touch of fall – love these. Thanks for the chance to win! Love, love, love fall! The decorating, the food and the change in the leaves always bring such joy! The pumpkins are adorable!! Love this time of year and ADORE the pumpkins!! I love the beginning of fall!! The nights are cooler and the days are still not too short and it’s a great time for walking. I love those mini pumpkins!! Fall is my favorite season! And along w that, the Love Feast Pumpkins! Oh I love those pumpkins! The pumpkins are beautiful…. Makes me anxious for a cool fall day, a cup of coffee, a blanket and a good book!! Oooh pumpkins, silver and chevron…what could be better? These are perfect! I’m officially obsessed. Our annual trip to a pumpkin patch with not only my family but my parents join us each year. It makes such great memories for our daughter!! It involves a hay ride, hot cocoa and lots and lots of family photos!! This makes me get excited for fall. Its coming…. Behold is the right word! I want to be holding those beautiful pumpkins! Rusty-colored leaves slowly twirling down to ground on a chilly autumn day. It’s a magical sight. Thanks for the giveaway. The pumpkins are gorg! I love Fall it is my favorite time of the year! I love the colors of Fall, the flowers of Fall, and the activities of Fall. I love decorating my house for Fall! Love Feast products are beautiful! What is the most happy thought that comes to MY mind when I hear the word FALL? I’ve been eyeing my local store for these for years. Would be great to win these! I love fall! The smells, the sites, the boots, and I love love love Thanksgiving! Such a beautiful holiday. I’ve been swooning over these pumpkins over a couple of year. So elegant yet rustic! Lovely and understated execution of the fall theme. The pumpkins are exquisite and the plant adds just the right touch. <3 I've been wanting those! I love these pumpkins because I feel like they are kid friendly. I dont have to worry about my child breaking them. They are perfect for my coffee table! I love the cool nights, crisp air and the exciting newness of the school year. Not being a fan of orange, I love the neutral textural look to these pumpkins! WOW I am so glad to see these now in linen. Love them!! Ok – those are absolutely darling and make we want to give them a little squish. And the table is to DIE for! FOOTBALL!!!! Love those pumpkins! Thanks for the chance!! Wedding!! That’s what comes to my mind. I’m getting married in November and I can’t be more excited for the fall to be here so that I can be with the one I love. LOVE the pumpkins! You are making me want to drag out my fall containers and dump my summer flowers!! Can’t wait for some fall weather! Thank you! I love the crisp cooler air of fall, and pumpkin everything. Absolutely love these! Fall is my favorite season and the beautiful pumpkins would go so nicely with my decor. Oh so pretty pumpkins! I just love the metallic for a little fall bling mix with the rustic! Oh my, they are beautiful! Looking forward to a cool fall and they would be a perfect accessory! Fall is my favorite time of the year, and not just because of pumpkins in all sizes and colors or applesauce or sweaters and corduroys or new notebooks and folders, but because fall seems like a second chance to start the year. Fall energy inspires me to take a new class or start a new exercise routine or accept a volunteer opportunity or clean a closet or two or three. The summer months represent play time, leisure and lazy time; time to do nothing if that is what the warm breeze suggests, but fall is a get up and go time, and I am ready. I love love love the sound of giggling Grandchildren playing in great piles of multi-colored leaves! Pumpkins, of course, the colors of Fall, and the cooler weather! FALL…maple leaves falling and pumpkin spice everything, acorn, delicata, and sweet meat winter squash brought in from the gardens…but, best of all, FALL whispers of what’s yet to come: mittens and late fires blazing, Rumplemintz-laced cocoa and the silence winter’s snowy blankets bring. I love pumpkins. And pumpkins now? This makes me weak with joy. Those pumpkins are really cute. Love the feel of fall in the air already. Here in the Pacific North West we are already starting to have evening fall earlier, with a bit of nip in the air. For me, Fall has a bunch of lovely Jewish holidays, the start of a new year, and of course Thanksgiving. I love the smell! We live in a grape growing area and the smell of the grapes ripening on the vine is heavenly. Also, the smell of leaves changing. The light also changes as the sun is lower in the sky – a much warmer light. :) P.S. love the plush pumpkins! Nostalgic childhood memories of crunchy leaves underfoot, fresh apple cider, and the traditional family day fall trip to view all the glorious colors the autumn brings. My dad’s love of autumn and how it made me aware of the change from summer to fall…and now as an adult, my own joy and anticipation as fall approaches every year! I am savoring summer but I do love the beautiful leaves and baking with apples and pumpkins! These pumpkins are gorgeous! I too love fall! Football, soup, changing leaves, and the anticipation of the Holidays. One of my favorite seasons!! I love those plush little pumkins! I would love a set of these! I’ve admired them for a while now. Fall is really lovely here in Nova Scotia…I think of the changing colours of our leaves! perfect whisper of fall! my favorite season! leaves crunching underfoot, crisp apples, sapphire blue skies, cozy woolen sweaters and my favorite boots, crimson and gold and bronze and tangerine flowers, gourds and pumpkins spilling out of my bread bowl, oh my I could go on and on! The word that comes to mind when I think of the upcoming fall is “baking”. Pulled out my recipe cards for the first time yesterday and realized how long it’s been since I’ve done any real baking/cooking other than on the bbq! Fall is the best! The pumpkins are gorgeous. Adore the pumpkins! So cute! Thanks for the giveaway. Bursts of gold, orange and red! My siblings are both significantly older than me, but when I was little, every Halloween they let me draw the faces on the pumpkins we were going to carve. No matter how squiggly or ridiculous, they would carve what I drew. Jeans and sweaters! It’s such a relief to feel cozy and covered up in the Fall. I think that these pumpkins are so beautiful! I love them everytime I see them. Love the season and the pumpkins. Love the pumpkins. Gold would be wonderful. LOVE fall and those pumpkins are great!! Lower humidity and pretty much anything that has a connection to pumpkins are my fall favorites! Crunchy leaves and cozy evenings, cool nights! Love fall and roasting hot dogs! A plush pumpkin in gold would be great for the table! Fall is my favorite – cooler weather, beautiful colors, pumpkin patches, etc. But this year it’s especially exciting as it marks the arrival of our sweet baby girl (scheduled delivery on sept. 25)! Turning leaves, crisp air, boots and sweaters and all things pumpkin! When I think about fall, I think about apple picking, hot apple cider and cider doughnuts at the farm! My boys love fall decorations and I know they would love these. I love fall! I grew up in Iowa so it’s harvest time with corn stalks and pumpkins and apple pie! It’s crisp evenings, a huge harvest moon, friskier horses. Lots of hay stored in the barn, and jam and beans and peaches and pickles stored in the cupboards. Ladies in aprons, men working hard who are hungry. Great meals, lots of stews and soups. Crunching leaves under foot, making bittersweet wreaths. Finding the perfect small gourds for table decorations. The scent of the leaves. When I was a kid, (which was a very long time ago!) me and my friends used to run through the leaves that their dad and raked up in a pile in the street and jump in them. I loved how my clothes all smelled of the leaves and I loved the crisp fall air. Then the leaves got burned. Yeah…told you… a very long time ago. No one can do that anymore. Now I live in the valley in Arizona and miss that; smell of fall leaves. cool evenings and crunchy leaves! I love fall and all pumpkins! They just make me happy! The nicest part about pumpkins–you put them outside and inside in September and you get to enjoy them until Thanksgiving! What a treat! I love the plush pumpkins! The silver is a nice new addition! Love the pumpkins…I have some beautiful turquoise ones, but would love these to add to my collections! Looking forward to Fall, hot apple cider, back to baking, making soup, and the buildup to the holidays. Love the gold pumpkins. I’m digging these pumpkins in the metallic silver! How darn cute! Love love love those pumpkins! Can’t wait to start decorating for my favorite time of year. I’ve wanted some of their little pumpkins for sooooooo long! Many thanks for the chance to win. Love the fall season! Especially when the leaves change color, and the weather cools off from the heat of summer in the evenings, making it wonderful to spend time outside! Crisp sun-filled days when a little jacket is needed. Have an incredible weekend Melissa! And I keep thinking I’ll make some of these….like it might really happen! These are lovely. I love the way the air smells different. It’s more crisp and more concentrated and I love all things pumpkin! I love the beautiful changes Fall brings: the cooler air, smell of a backyard fire, warm aray of color change everywhere you look in the sky and on the earth below…all this beauty points to our amazing Creator and His creation…though the earth changes, He remains the same! Crisp air demanding my navy blue boyfriend sweatpants. I love Fall!! Those pumpkins are classy & cute!! Since Fall is my favorite season to decorate, I love sources of inspiration such as this one. Maybe white is the new orange!!! My very favorite fall pastime is to harvest my heirloom pumpkins and squash and to use them in a harvest display in our church. The gilded map-blue console table looks so nice picking up the colors of the map wall, Melissa. I love the cool crisp mornings and evenings in fall. The unique smells of fall, the first wood fires in the fireplace, the crunching of dried leaved underfoot and the honking geese overhead, all allude to the time of year to prepare our homes and hearts for winter and the holiday season. We just moved into a new home. Those lovely pumpkins would look smashing (no pun intended) ! When I think of Fall I think color. Lots of color. The word that comes to mind when I think of fall is football! I love going to a cold-ish weather football game. Love the pumpkins…so fun and yet classy too. I just love the smell of the leaves and the crispness in the air when Fall comes around. I have always loved those stripes on the wall and seeing how you chane up the details seasonally. Those plush pumpkins are beautiful! I love the natural stems. I think the silver is nice but that the gold would be gorgeous. I love the understated color and texture of the pumpkins! Very nice! Adorable pumpkins…the official mascot of fall for everyone. Pumpkin spice lattes and cozy nights by the fire pit! We just moved to Florida in May so fall to me this year really has me yearning for cooler temps! Love the silver pumpkins, perfect for fall decorating in Florida. I love the smells and colors. The cozy glimmering light! A wonderful time of year here in Nova Scotia. Love these cute pumpkins…the fabric is so rich! I have this tray, so I’d love the pumpkins! Love the crisp cool evenings, changing color of the leaves and football games! These would be a lovely addition to my fall decor! Beautiful! I love plush pumpkins. Where do you find the real stems? I love these pumpkins! And that tray they’re in…gorgeous! I love being able to wear long sleeves and pants again ! Nice touch with the natural stems, they would be a great contrast with my copper pumpkins. Those pumpkins are beautiful! When I hear fall, I think of fall scents burning, cooking soups apple cider, and enjoying time outside around the fire. the smell of a fire in the fireplace. Layering…. clothes, decor, leaves. But, I’m also in a “less is more”, non-cluttered mood when it comes to decorating these days and the plush little pumpkins are a perfect, “subtle” sign of Fall. Fall is my favorite time of year – the smells, the sounds, the colors – there’s nothing I don’t love about fall. I can’t wait to break out the sweaters and cozy up with a blanket and some chili. These pumpkins are adorable and would work great in a lot of differnet places. There are so many things I love about fall. I love to decorate for it, but I especially love the cool, crisp days that come with fall! These are insanely insanely adorable pumpkins! Is it too early to set out ALLLLL of my fall decor? Should I wait until September 1st? I don’t know if I can hold out!! As much as I like the velvet pumpkins, I really do like the subtleness of these linen ones as well. Come on fall…I’m so ready. My favorite time of year! Colorful autumn walks on a crisp sunny day at the Arboretum during a Washigton Husky Game and being able to hear the echo of the school band play. LOVE the pumpkins. I would adore owning one. I am ready to be done with the dog days of summer! Bring on Fall! Love these linen pumpkins! They are a nice subtle way to welcome a very colorful season. Love your style! Can’t wait for cooler weather so we can enjoy our new front porch swing. Love! Can’t wait to pull out all the fall decor. I love fall. The crisp air. The changing color of the leaves. So refreshing after all the heat of summer. I’m loving that stripe wall and those pumpkins are BEAUTIFUL!! Thanks for the chance of winning one! Love these! Summer finally decided to arrive around here so I’m not quite ready for fall. Happy thought #1. The neighborhood costume parade, so much fun !! #2. Fall frills: pumpkins, throws, colors, pillows, and MUMS! I would be honored to give those adorable punkins a place in my home. Fall is my favorite season so happiness comes to mind. The pumpkins are beautiful. Fall is my favorite…cool air, apple cider, pumpkins, boots, sweaters, & and Thanksgiving! They are so beautiful! I would love to have the gold one. Ohhh! A gold glittery pumpkin would be simply marvelous! Love fall, best time of the year. These pumpkins are really really beautiful! Will check out the shop. Thank you for this opportunity! I just love these. I’ve seen them in blue and it made me think how pretty the silver and blue would be together. The smell of Fall…burning leaves, pumpkin pies baking in the oven, the colors of Fall, orange, rust, reds, browns, the cooler temperatures. I love the pumpkins but I also love your stripes! I have a very similar wall in my home that I am going to paint just like this. Those pumpkins would look awesome in my house (on my twin wall) too! Ohhh..and I would like gold because I think I am going to do a bronze-ish/gold-ish stripe. Can’t wait for fall and pumpkin season! Ooh I love these! So perfectly elegant! I love the pumpkins! I can almost feel them after reading your comments on them. I love Fall–the smells, the warm colors, and family. What a wonderful time! ALWAYS loved these pumpkins and the colors just keep getting better and better! I would love a gold one ! Fall reminds me of walking in the woods with my grandson, among the falling leaves! Love the soft beautiful neutral of the pumpkins in the hard concrete? Tray. Fall means being able to sleep all night, mashed potatoes, hearty stews, baking and wearing cozy sweaters and tall boots. Very much enjoy your blog. Thanks so much. Wow- I might not feel so bad about the end of summer if I could have one of these plush beauties…. I love everything about fall, my favorite time of the year. 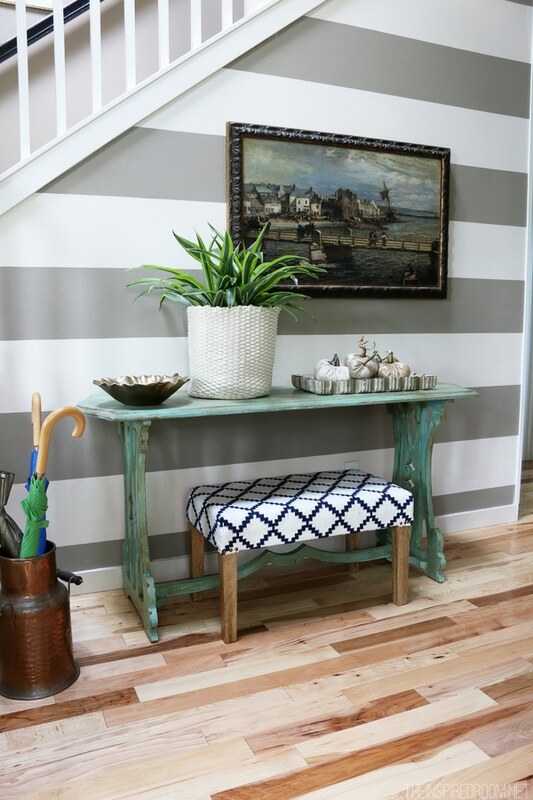 Could you give us the brand and color you used on the console table in your entry way and also, where does the bench come from….love everything you did here. Love the golds! Thanks for this chance to win! I think of friends, food, and football! Fall is the best time of year! Fall reminds me of apples and beautiful colors – and PUMPKINS! I love your soft, little pumpkins as a subtle approach to bringing Fall into your home! I am looking forward to going through my fall decorations, saving some old favorites, throwing some away and getting something new and fresh! Time to replace and update! Fall is my favorite time of year! Friends, food, and football! Halloween decorating and pumpkin spice anything! Love the pumpkins. I have the perfect place to display them for fall. Thanksgiving is at my house, and they would look awesome. Those pumpkins are a perfect decoration for not only a rustic country style but an urban chic or even shabby chic furnishings. And I believe they would look great in my mish mash chic ! Fall is a wonderful time of year. With it comes cool, crisp days, football games, the changing color of the leaves – many things that creat happy memories. I just love the beautiful autumn foliage here in New England! Shiny, pretty pumpkins for the win! Love the gold! Apples!! I love apple-picking, pie baking, butter making, jelly canning! 99 degrees here in East Texas …. Beautiful! Dreading cooler weather… but I do love fall decor. The pumpkins are perfect! I love the smell of my harvest candles and pots of soups and stews and chili simmering on the stove. Going apple picking and making spiced apple cider. My very favorite time of the year, Autumn. Pumpkins of all colors, shapes, and sizes are my favorite fall decoration. Oh, and by the way! I love the painting above your table! Is it new? the silver/grey ones would look lovely with my decor! I love thinking about fall being just around the corner, too! And I LOVE these pumpkins! Fall is my favorite time of year & I’ve already been thinking of Fall decorating. I would love to include these pumpkins… they are beautiful & unique!!! You had me at plush pumpkin…I adore these and have bought a whole patch of them over the last few years. This linen looks lovely, nice to transition from summer into glorious fall! Looking forward to my first fall in NC…past autumns in FL were very un-fallish…I think colorful leaves and crisp cool air. The sound of leaves crunching under foot, the sight of salmon swimming upstream to spawn, the fragrance of apple pies baking in the oven, the taste of the wild blackberries from the local bushes and the touch of my granddaughter’s hand in mine as we go for an autumn walk. The beautiful colors of the leaves, pumpkins, hot chocolate! Love the pumpkins! Am wanting to squeeze my own just now! What cute pumpkins and I would love to get one for my 60th birthday, which is Sunday. Also I am so glad I found the inspired room, so many great ideas and pictures. Fall is my favorite season. I love the pumpkins and would find a way to add them to my fall mantel decor. I love fall and the changing colors and changing decor in our house! Love fall and changing colors, decor too! cannot wait to decorate for Fall. I found some cute ceramic pumpkins a few months back. I really appreciate your blog. Great ideas. Thanks and God Bless you. Fall is my favorite time of year! I’d love some plush pumpkins this year. I love love Fall & your blog! I am so obsessed that I have created a special file just for my favorite post!! Yikes! I know! Cool nights, warm cider, and colorful leaves! And these pumpkins are just lovely! Crisp air and leaves changing colors and the time we travelled to Vermont many years ago to watch the leaves change. And change they did. Each day it was like looking at a new landscape. They’re beautiful. I’d love to know where you got the tray they’re in too. I looove these pumpkins. Being a fall birthday girl, I seem to naturally love the season. I am so thankful to live in a world that has Fall! These pretties in gold or silver would certainly help me celebrate my favorite time of the year. Beautiful pumpkins! Love the gold. what a great giveaway! these pumpkins are gorgeous! I LOVE these and have been pining after some since last fall! This would look perfect in my entryway. Beautiful! My two year old twins favorite season is fall- they love pumpkins and these are truly wonderful. Very cute! These would be adorable in my home! Fall makes me think of cool, crisp and colorful. I saw these pumpkins about three years ago and fell in love with them. Thanks for the opportunity to win one. I love that you have just added a touch. I love pale pumpkins. Cooler weather, football, and fall colors!! Fall is like “New Year’s” to me! It’s another opportunity to start anew and shed some things that you maybe should! It’s means school, football, sweatshirts, and creating a cozy, loving home for the people you love. Love Fall, crisp air, crunchy leaves, football, apples…. changing fall leaves makes me happy! I love watching my two toddlers discover the essentials of the season. I plan to introduce them to apple festivals, pumpkin carving, leaf jumping, fall sports and so much more! I look forward to seeing fall fresh and new through their eyes! Fall is one of my favorite seasons here in Michigan. I cannot wait for the leaves to change and the warm cider fills our bellies. I enjoy your blog! Thank you for your daily inspirations. Bless your heart! My favorite thing about fall is the cooler weather that allows us to enjoy spending more time together outdoors. We live in the Deep South of Alabama. Where the heat and humidity are so unbearable through at least October. My husband and I love taking our 3 girls on walks through our large neighborhood, hanging out in the backyard around the fire pit roasting marshmallows, going to the park, etc. I look forward to the trees turning colors and putting on my sweaters and boots. Fall is my absolute favorite time of the year. We don’t decorate for Halloween, so I love putting my fall decor out a little early, too. I start with my mantle first, and then after a few weeks, start decorating the rest of the house. I love these plush pumpkins!!! Pumpkin everything! Decorations, food, candles, coffee! Reminds me of the “Time to Gather” season that is approaching! Fall means warm drinks, cozy sweaters, my favorite boots, and the changing leaves. Living in Dallas where August temps are often 100 – I love finally getting cooler weather in the fall! And when it gets here I love everything about it and enjoy it to the fullest! Darling pumpkins! They look so real and are just what my 10-year-old, Jane, would love for her birthday next week. She loves to decorate! I do too, but she makes all the decisions because it is her favorite thing. Thank you for reading our entry. Love your blog! I love all the fall smells!! These metallic pumpkins would be beautiful on my Texas-Home coffee table! They would fit in perfectly with the moose antlers. Fall is the perfect time of year! Changing fall colors & fall decor. Stunning! They would look beautiful in my house. The beautiful color of the leaves, Fall candles, Boots and cozy sweaters. 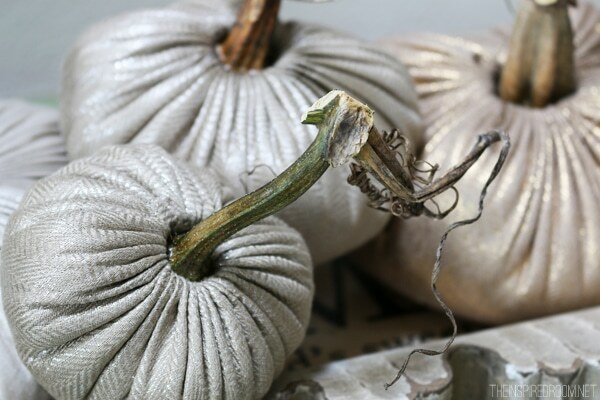 I am in love with the silver/taupe pumpkins. Your Foyer looks beautiful!! They’re beautiful! Although I am not yet remotely ready for Fall…we do have two fat pumpkins growing in the garden. I guess if it’s back to school time, it should be back to fall pumpkin time as well. Fall is my favorite season! I wait for it to arrive every year with anticipation. The smells, crisp air, flavors, and changing colors are wonderful plus football season is in full swing! These pumpkins are so classy and cute. Would love having them in my home as well. Fall is my favourite time of year mainly because I love the colours!! So warm and cozy feeling! As for the pumpkins—I LOVE THEM! Maybe this year????……….. Fall (sigh), looking forward to the brightly colored landscapes as the leaves begin to turn, the hint of a chill in the air, building fires and cooking hot dogs followed by toasted marshmallows. Soon we will all begin our autumn decorating and I would love to have one of those gorgeous plush pumpkins to use in our home. Thanks for a great giveaway! Love the plush pumpkins. Fall is the time for college football. Let’s go Peay. What do I love most about Fall? Falling maple leaves, crunchy oak leaves & pesky acorns on the ground, plaid skirts & pencil boxes. Autumn pumpkins and corn stalks at the front porch. Dried leaves covering the front yard, crisp gusts of wind and the dizzying array of autumn colors! Scarecrows and Indian Corn. I love it all! Thanks for the giveaway! Those pumpkins are so beautiful! Fall – my favorite time of year! But I’m not such a fan anymore of the orange and burgundy color schemes that come with it. These pumpkins are PERFECT! They totally say “fall” but without the usual colors. Love them! And love your blog – your house is a beauty. I love the first fire in our woodstove. The warmth and the smell remind me of the first fire we built in it. 32 years ago this October. I love the changing color of the leaves, kids raking them up in big piles and jumping in them! That always bring back sweet childhood memories! My favorite part of Fall is setting up my Fall display at the entrance of my driveway…complete with pumpkins, hay bales, a rusty wheel barrow, scarecrows and fall flowers! I can’t wait! i have wanted to get these for my mom’s bday for years!! Having my adult children and their precious families home for Thanksgiving!!! Love!!! Love !!!! Love the Indian Summer Season!!! One of my favorite times of the years to decorate and especially with one of those fantastic and beautiful pumpkins. They are elegant. Beautiful! You are inspining me to get some of my eatly fall decorations going! My happiest thought when I hear FALL is texture. I love the big bulky sweaters with corduroy jeans. Buttery leather boots. Cuddling under a soft fuzzy blanket. Flannel sheets. Velvet pumpkins and now chevron linen pumpkins!!! Thank you, Thank you! Remenbering all the trips to the pumpkin farm when my boys were little. Fall is my favorite time of the year. Oh, lovely! Would be a perfect way to begin fall decorating. Thanks for the opportunity to win and for the fun site. Listening to crunching and laughing as my kids jump in a pile of leaves. “Delicious autumn! My very soul is wedded to it, and if I were a bird I would fly about the earth seeking the successive autumns.” ~George Eliot. This is one if my all-time favorite quotes, because it is so “me”… I LOVE FALL, everything about it!!! I love the changing leaves. Growing up in So Cal, we didn’t experience it. Now, living in CT…..it’s spectacular. Alsways sad to see summer go but love October and November in New England. Especially love when the kids try to catch the leaves as they fall from the trees. It’s harder than you think! Organic plushness at it’s best! Would love to tuck a few in our front room as the perfect compliment to our fall wreath that is being prepped for the door today. As always, great inspiration. I am so happy that my favorite season is just around the corner as I love everything about Fall!!!! Those velvet pumpkins are beautiful! Thanks for the opportunity to win! I love these pumpkins.My favorite part of fall,Cooler weather! These gorgeous pumpkins would look great sitting atop my card catalog this fall. Fall is my favorite season, so I’m ready! Fall – best things are football, annual trip to pumpkin farm and cooler weather!! How lovely the silver pumpkin set would look in my dark gray dining room…thanks for the great giveaway! Beautiful way to welcome fall – thanks for sharing! The colors of fall are so much fun and a welcome change! The thought of playing in the piles of fallen leaves with my Grand daughter, thick woodie jumpers and mugs of hot chocolate. Sounds wonderful. Love the pumpkins, they are gorgeous. These are so adorable! I love fall, it’s my favorite season. I just feel like it is so cozy, and of course I LOVE Halloween! These sweet pumpkins would take my beach cottage condo from summer to fall. Thanks for posting such beautiful photos. My favorite thing about the fall is being swept up in the perfect moment on a warm, blue sky day when there is a crisp breeze that blows through the trees and carries the colorful, fallen scraping across the ground. Love your style. The pumpkins are gorgeous…thanks for the giveaway. I thank you for this oppurtunity, as I love the plush pumpkins. I love your home I wait for your posting everyday, thanks for inspiring me! Fall, being my most favorite season of all, reminding me of the year our son planted a packet of white pumpkin seeds and had a most abundant crop!!! It seemed he had enough pumpkins to give to all of our visitors! I live in New York City and fall is the best time of the year here: chestnut vendors, beautiful trees, cool breezes, a sense of purpose and beginnings! I would love to put these reminders of fall in my entryway! So excited for fall, and would love to win one of these lovely pumpkins!! I love your blog. I find it very enlightening. My daughter and I love the pumpkins- can’t wait to decorate! My daughter and I love these pumpkins! My happiest Fall thought(s) are Pumpkin Spice lattes and Pumpkin Pie shakes! I have been wanting these plush pumpkins for some time now. Would love love love to win one! Love the pumpkins! So ready for fall! Your house always looks amazing and with those beautiful pumpkins adding to the vision of perfection I’m already looking forward to seeing more Fall related pictures. I would really love the silver pumpkin as it would look gorgeous on my hall table. These are beautiful! I’ve never seen anything quite like them before. I love that they can make the transition from Halloween to Thanksgiving, meaning they can be appreciated throughout the fall season! Grew up living at the base of the Great Smokey Mountains…have always loved fall and God’s beauty. You can tell these are a hit…took forever to scroll down to enter:) Darling pumpkins! Fall is my FAVORITE time of year..the cool crisp days, vibrant colors, football and the new school year! This is an amazing site…look forward to all the ideas! The pumpkins are unique and adorable! Grew up at the base of the Great Smokey Mountains. Love fall and all God’s beauty! Grew up close to the Great Smokey Mountains. Love fall and all God’s beauty! Even though I normally love the orangey colors for pumpkins, your silvery ones are gorgeous. I don’t think I would hide them away, but show them off the entire year. They would look quite lovely on my mothers oak sideboard that I inherited. The words ‘crisp’ and ‘cozy’ come to mind when I hear Fall. Funny how those two words don’t seem to go together except during Fall, when the crisp air makes us want to be all cozy in our sweaters, shawls, and throws. have also seen these in velvet. saved my pumpkin stems from last year – maybe should try and make one??? I’d have a hard time choosing since both colors are stunning. Clear blue skies, colorful leaves, Indian summer days are just some of the things I love about fall.Pumpkins and mums add beauty to those colors. Thanks for the opportunity of a chance at those cute pumpkins. I have admired these magical pumpkins for some time. My favorite color is the silver. Thanks. Those adorable little pumpkins….totally say Fall…just love them! I adore Love Feast! Because of your post last Fall, I purchased 6 persimmon and teal pumpkins from her. I would LOVE to have the metallic ones for a more modern feel this year. Thank you for the opportunity! Love the look of your entryway, but where’s your nifty dresser and (home-made) lamp? I loved last year’s plush pumpkins. These are more elegant, yet still very homey. Thanks for the inspiring ideas! See what it looks like in fall color as I dig out my pumpkins . The happiest part of fall for me are the fall colors and decorating for fall. I’ve already slowly started to decorate for Fall. My family thinks I’m quite mad. One of those pumpkins would be a lovely addition to my fall decor! Thank you so much for the opportunity to win a pumpkin! I am so ready for this heat to move on out and the autumn temperatures to arrive. Fall decorating is one of my favorite things and these beautiful pumpkins would be a nice addition. Here’s hoping for good luck . . . I would absolutely love to win the pumpkins!! I have never really win anything & LOVE FALL! Love the color of these pumpkins!!! Really looking forward to fall! I love Fall and I adore these pumpkins! Love these pumpkins! They would look fantastic in my wedding this fall, and would make a great addition to my home! Oh, my look at all the entries! So many people love those beautiful pumpkins….me included…thanks to all for the outstanding giveaway! btw, love how you are re-doing your office! Those pumpkins are really pretty. And I love the artwork in your entryway! Love the pumpkins! Gold maybe? Fall, glorious, fall. I find Fall to be so invigorating ~ with the cool mornings, crisp afternoons, bright colors, etc. I just love it. Would love a set of those plush pumpkins. Fall is my favorite season too! Apple orchards, the scent of cinnamon and cloves, the crisp fresh air, red and gold leaves…love it all. I have coveted these beautiful pumpkins for as long as you have been posting about them. I would be sooooo happy to win a set to display in my home this fall. Thank you! Love fall and would love one of those pumpkins. Love the beautiful organic stems! I love the way you mix it up all the time, changing little details (or big ones) for an entirely new look. I love these pumpkins!! So does everyone else judging by the number of comments! After the heat of this summer I am so ready for Fall! To me Fall means pumpkin spice lattes, pumpkin cheesecake, pumpkin pie, pumpkin cake – oh everything pumpkin and yes do include these beautiful soft pumpkins too!